Within what seemed like minutes of opening up his list of potential destinations to include Cleveland and Oklahoma City, Scott Perry and the front office pulled the trigger on Carmelo Anthony ending six and a half years in New York City and opening countless debates about the forward’s complicated legacy as a Knick. While I could spend the entire preview talking about the move, and will definitely come back to it later, this trade really signals one thing to all Knicks fans out there. It’s Porzingis time in Gotham! 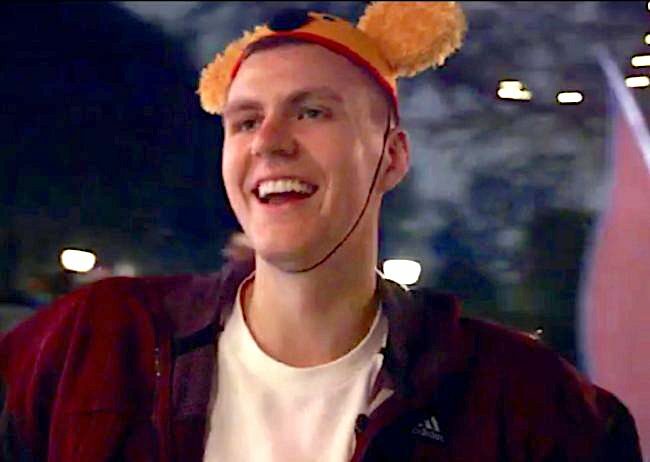 There shouldn’t be a basketball nerd alive who hasn’t watched the grainy footage from Euro Basket and salivated over KP’s role as a featured scorer on a talented team. With the 7’3″ unicorn making a concerted effort to bulk up during the summer, and heading into a pivotal third season as the unquestioned number 1 option for the Knicks, all the pieces should be in place for a monster year. While last season was an unquestioned disappointment for the fans, it’s worth noting that Porzingis was vastly improved in nearly every single statistical category and did so while largely standing around as Derrick Rose pounded the ball into the ground. Kristaps has already embraced the challenge of being the go-to man in the basketball mecca; now all us fans get to watch how it plays out. With how bad the East is this year, this guy should be heading to Los Angeles in February for his first All-Star game. The rest of this team is going to be weird, to be sure. Outside of Porzingis, New York’s starting 5 is completely overhauled. Willy Hernangomez should figure to be the team’s primary option at center, but he was regularly yanked in and out of the lineup last year by head coach Jeff Hornacek and is somehow one of five true center’s on this team’s roster after Oklahoma City sent over Enes Kanter in their Melo-Heist (so much for small-ball). Who starts at the 1 and the 3 is really anyone’s guess as the team has both high-profile youngsters in Doug McDermott and this year’s eighth overall pick Frank Ntilikina and more veteran steady role players like Lance Thomas and Ramon Sessions. The one thing for certain? After doling out the most laughably awful contract of the offseason for the second year in a row, OAKAAK Tim Hardaway, Jr. will be suiting up at shooting guard. I’m cautiously optimistic about Hardaway, however. I know the contract is an absolute joke, but he flashed real potential down the stretch with Atlanta last year and ended the season with the best net rating of any player on the playoff-bound Hawks. While he was fairly terrible in his first stint with the Knicks, he is still only 25 and will no longer be flanked by fellow pull-up, me-first specialists like Carmelo and J.R. Smith. With some premier spacing coming from Porzingis and McDermott at the forward positions, and literally no pressure or expectations in New York, it wouldn’t be a surprise for Timmy to take a huge leap attacking the basket and become a top 10 scoring 2 guard in the league.